A better understanding of what it means to follow Jesus’ teachings. A better understanding of Christian leadership. A better understanding of your leadership skills, personality traits, and spiritual gifts. A better understanding of how to create and implement spiritual habits. A better understanding how to lead in your local church, community, and school. Learn from the wisdom, passion, and experience of other youth pastors. The information learned will be relevant and applicable to your everyday life. A weekend filled with great worship and guest speakers. A chance to meet and connect with other student leaders. 3SLi graduates can apply for scholarships at MACU, Warner, and Anderson University. All students and adults are invited to hangout in the gym for ice-cream, glow in the dark games, and fun. Chip is the founder and director of Intern Academy that helps train up a new generation of Christ-centered leaders with a call to ministry through internships that are intentional and practical for ministry training experiences. He loves Jesus and young people. He served as a student pastor for many years. Just like God’s commission to Isaiah we feel called to show the world God’s love! Our mission as a band is to “Prepare our hearts through Scripture, prayer, and fellowship to be transparent onstage and lead by example offstage”. Whether people see us at a concert or at the mall, we want there to be no question about who we are and what we stand for! A high quality worship band with 4 worship sessions. A passionate & experienced keynote speaker. Several youth leaders speaking into the lives of students. FREE lunch on Saturday provided at the church. 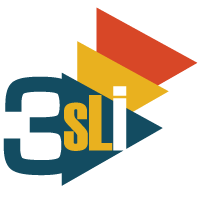 Exposure to Christian College & University Reps.
College scholarships available for 3SLi graduates. This is a Church of God (Anderson, IN) sponsored event but open to any church wanting to attend. 3SLi is unique, in that, it brings together students from Indiana, Ohio, Kentucky, & West Virginia. This conference is available to high school students ONLY. If able, split the cost between the student and the church. College scholarships are offered ONLY at Mid America Christian University, Warner University, and Anderson University.